As a former Aquatics Director, the chlorine has never really left my bloodstream. Though I’m now retired, I am still acutely aware of the world of swimming and aquatics around me. 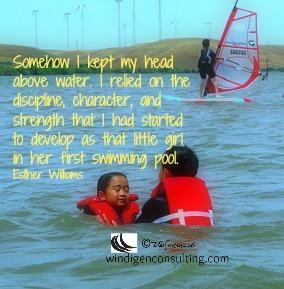 At the Sacramento delta, where I windsurf, I am surrounded by water and remind myself that one false move could be my last. Any activity in and around water is a risk. As a swim lesson instructor, I constantly teach kids (and adults!) about water safety. I am always incredulous as to why parents send their young child out into a body of water without a life jacket. I smile as I see these two young children enjoying a day at the beach in their life jackets in this photo below. Children staying safe in the water! This is a positive step for anyone who enjoys the water. There is no higher value than staying safe in and on the water. For today’s BeWow Wednesday, I would like to thank communities like Sacramento County, who care about their citizens by providing safety education in its leisure spaces, and also for creating an infrastructure and partnerships with local law enforcement and the fire department to make this happen. For more information on BeWow Wednesdays, visit the blog of Ronovan Writes. What an important message, especially with summer around the corner… The water is great and lots of fun, but we should be responsible! There was a recent accident on Mission Bay where a 52-year-old man died after falling from his canoe. His two passengers were able to swim to shore. Only one person, a woman, was wearing a vest. I’m not a great swimmer, but even if I was, I’d wear a vest. Such a sad story. When I windsurf, I am in full armor, with a flotation vest. Makes me look fat in pictures, but better to look fat than be dead. I’m also a fish out of water! This really surprised me. A lot of beaches will not allow you to use life jackets on your children due to currents that could take a child from shore. 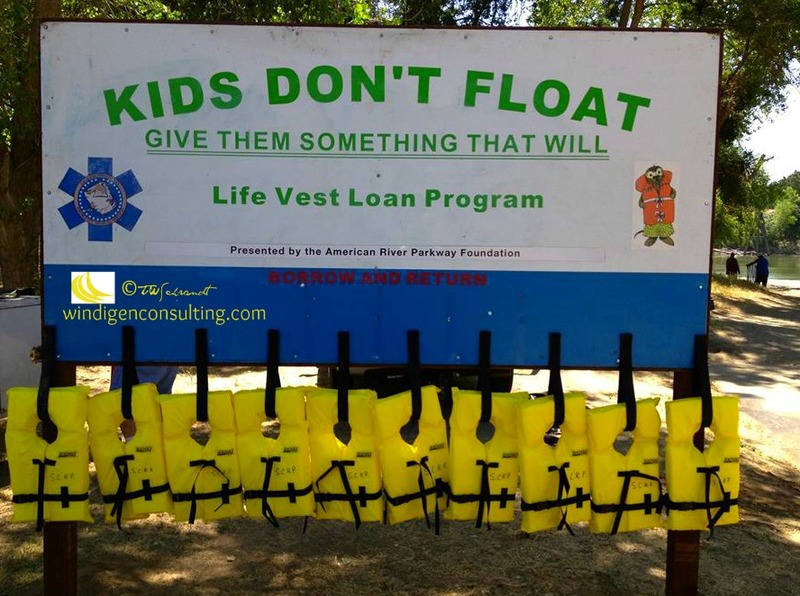 They don’t want a parent to just trust the lifejacket and become an inattentive. Wow, I’ve never heard of such a thing! Parents become inattentive anyway; at least with a pfd, the child still floats face up and can be found rather than pulled off the bottom of the ocean/river. In many waters that may be true, but I don’t know about all cases. I do know how fast a child could float away from you in Lake Erie. Very scary! This is a great initiative Terri. I have known people who have drowned. And myself, who is not a strong swimmer, if the water is above my shoulders, I am wearing a life jacket, no matter how it may look. Thanks for the kind comment, Carl! And that is a smart tactic!